A growing number of North Americans are using car-sharing services, especially in places where car ownership is more of a hassle than a benefit. More than one million people participated in 46 different car-sharing networks across North America last year, a 24 percent increase over 2012, the University of California Berkeley reported. Find out how these services work and whether they measure up to the hype. Unlike traditional car rental services, car sharing is on an as-needed basis for much shorter time periods, usually by the hour or even by the minute. Qualified drivers must be over 18 or 21, depending on which network you use, and have a valid driver’s license and clean driving record. After signing up with a network, simply search for and reserve a car online or via a smartphone app. Cars are usually headquartered in a neighborhood parking lot, and you simply go there, unlock it with a special RFID-equipped membership card and drive away for the allotted time. Gas and insurance are covered with the fee, but some services will ask you to top off the tank with a fuel card (it’s in the glove box) when it’s only a quarter-full. There are plenty of companies to choose from, including Zipcar, RelayRides, Flexcar and crowdsourced efforts like Getaround. Even traditional rental car companies are getting in on the act—Enterprise, for one, is now in the car-sharing business with its CarShare service. If you already own a car but don’t drive it that often, a car-sharing service is a good way to put it to use and make a little extra money. Simply visit any local car-sharing website and list your car, and they’ll walk you through it from there. 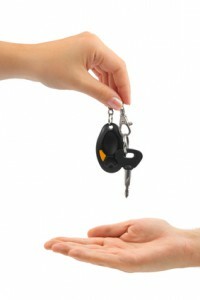 A word of caution: Become well-acquainted with your insurance provider’s policy on car sharing. Some insurance companies frown on letting complete strangers use your personal car as a rental and, as a result, may not extend personal auto coverage in those cases. Most car-sharing programs provide commercial auto coverage for this reason, and some states have changed the rules in favor of car sharing or are studying proposals to do just that. It’s worth asking insurance companies like The Hartford the specifics regarding car sharing and how it affects your coverage. Check with your state department of insurance, too. Oregon recently added provisions that allow owners to rent out their own cars without putting their auto coverage in jeopardy or being held liable for accidents. Oregon’s House Bill 3149, signed into law in June 2011, prevents auto insurers operating in the state from canceling or reclassifying vehicle coverage because of its use in car-sharing programs.